Pennard House has its own song! 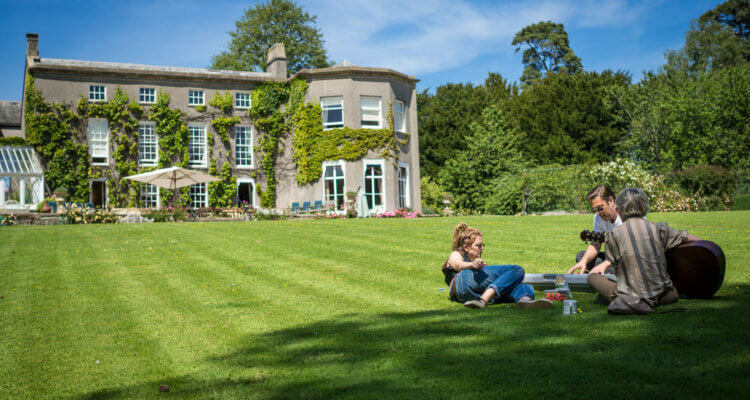 This song was written during the Chris Difford Songwriting Retreat 2016 at Pennard House. A wonderful week of creative songwriting sponsored by the Buddy Holly Foundation, that sees some incredible artists and songwriters get together to write new music. This song was written and recorded by Kimmie Rhodes and Robert Vincent during their week at Pennard. Loyal, noble manor stately stands. People in the house make a home. Through the trees they watch the seasons rise and fall. within the walls of the Pennard House. May the circle be unbroken by the light. Knows the tales of those who’ve come and gone before. and dream of what their future has in store. The songwriting retreat 2017 takes place in June this year. Look out for more details and photos from the week via Pennard House’s Facebook or Instagram.